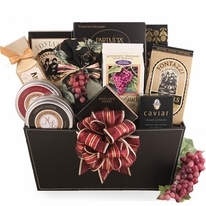 Make your recipient feel like a VIP with our Corporate VIP Gift. 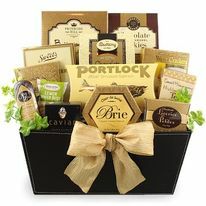 These unique corporate gift baskets include all of the gourmet snack foods that people love and expect in such a special gift. 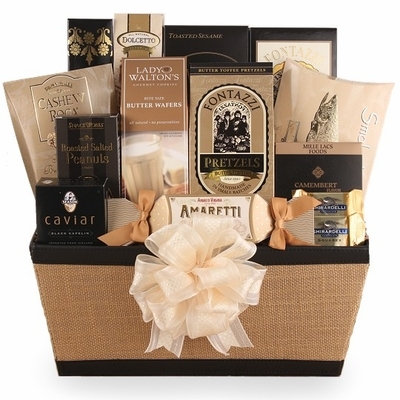 Each of these corporate gift baskets includes caviar, cheese, crackers, pretzels, cookies, and chocolates for a decadent surprise fit for a very important client. When looking for corporate gift ideas, this basket is the clear choice to make your client feel like they are appreciated. 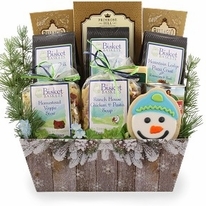 -Worried your gift won’t arrive fresh? 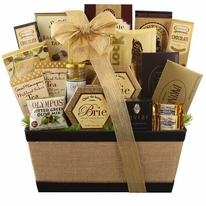 Bisket Baskets hand crafts each of their corporate gift baskets when you place your order, ensuring they arrive fresh!